The fitness center kicked off the fall season with a new, state-of-the-art equipment installation. Look for a refresh on some of your favorite cardio machines with new additions such as the Star Track Versa Strider and StairMaster Air Fit Bike. These machines are Bluetooth enabled with the ability for you to sync your phone and record your workout into your fitness tracking system. Additionally, look for all new Nautilus weight equipment which replaced the old Cybex circuit. The Nautilus Inspiration line is a classic circuit that has received some great upgrades. The machines are incredibly easy to use, featuring Lock N Load® Weight Stack System and gas assisted seats. Also, check out our new barbells in the free weight section of the gym. 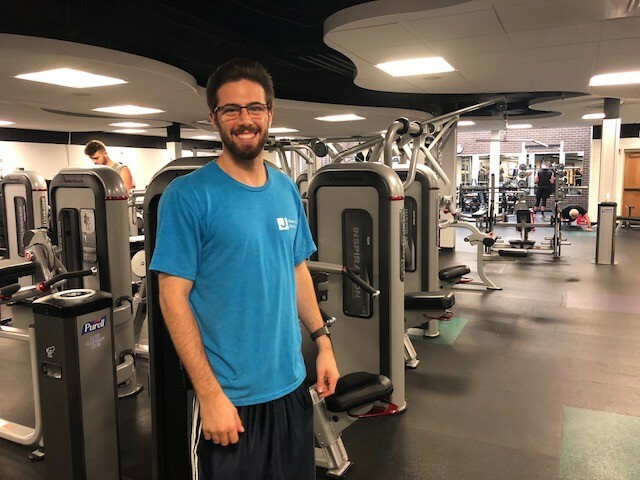 If you have questions about the new equipment, please ask one of our fitness floor staff available on the fitness floor at all times to help you make the transition. Your membership also includes an orientation to the fitness center with one of our knowledgeable trainers. Whether you’re just starting to exercise, have dabbled in it before, or are comfortable with your regular fitness routine, a JCCFitPlan can help make the most of your membership. To celebrate our new equipment, members may purchase a personal training package with one of our highly qualified certified personal trainers, to learn all about proper use of our new equipment. Personal training packages (5+ sessions) are 15% off Oct. 1-10 only. As always, Quick Start packages are available for three one-hour sessions at $120. The Quick Start package is for one-time use for our members only.